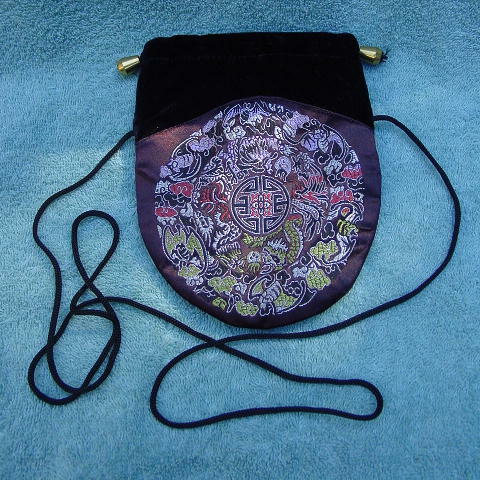 This Asian style evening purse has a black velvet upper portion and below that a dark plum color (feels like a satin) fabric with an Asian design pattern in burnt orange, pinkish-lilac, light Spanish olive, and silvery gray. 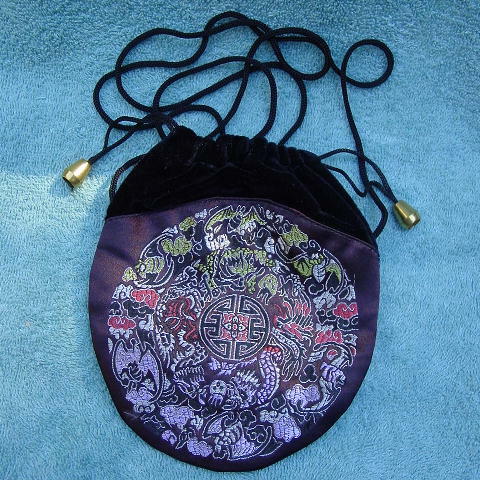 It has drawstrings with gold-tone pulls and a long 54" black cord shoulder strap. The front and back have the same design, but with the colors reversed. She wore it once, to an award ceremony.